What a scorcher of a week. With temperature hitting high 20s and pushing into 30s, we are pretty much melting in the city. I guess most of Europe is really not equipped for dealing with such high temperature. In UK, roads were melting! This is the time that reminds me just how amazing the inventions of fans and air-conditioners are. And freezer to keep ice cubes. 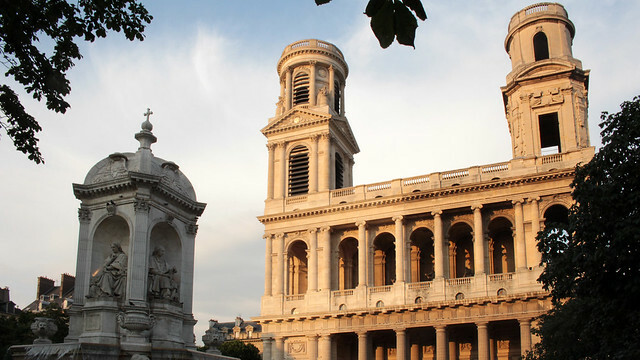 15 Jul: Passing through St Sulpice in the evening is one of F’s favourite thing to do in Paris. He shuns the cathedral of Notre Dame (and its accompanying crowd), preferring instead to gaze at St Sulpice bathed in the shades of red and orange, and with just a handful few passerby, perhaps a few who also linger and happily sit on the benches surrounding the square in front of the church. The sound of the water from the Fontaine St Sulpice is calming, making us feel like we’re somewhere else and not in the busiest city in France. 16 Jul: I met up with some of my ex-colleagues today for dinner at a small Italian restaurant on a street which pretty much any French children would know by name, for it is a street of fairies and witches and where magic occurs. The menu of this restaurant is exclusively in Italian, faithfully translated by the staff to every table of customers, and it’s suffice to say I will return to dine here in the near future. 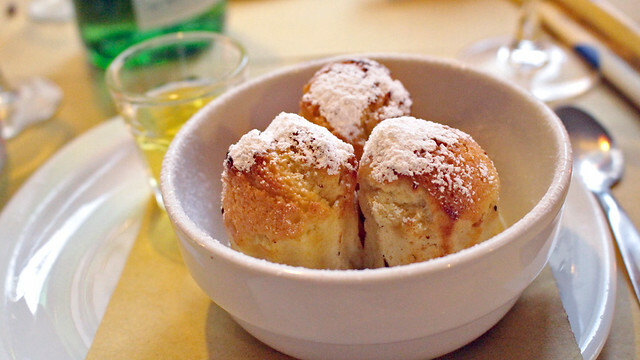 I ordered a dessert that’s not strictly Italian – baba au limoncello, instead of rum – to cap my meal. However, I must concede that the baba au rhum from Stohrer is still a winner in this category. 17 Jul: There are some 140 theatres and show venues in Paris, some that showcase talents to tens of thousands of spectators, other merely in tens of spectators. 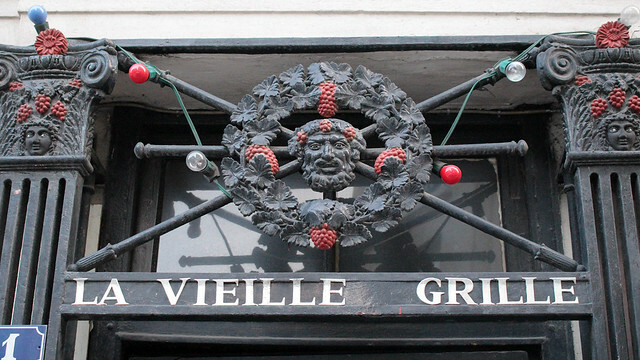 Théâtre de la Vieille-Grille is a small, private theatre not far from the mosque of Paris that seats only 50 at any one time. I don’t know much about this theatre, nor have I seen announcements of performances here. However, I do find the decors over the doors rather intriguing, in red and black, with motifs inspired by the antiquities. It piques me curiosity too – what would the interior be like? 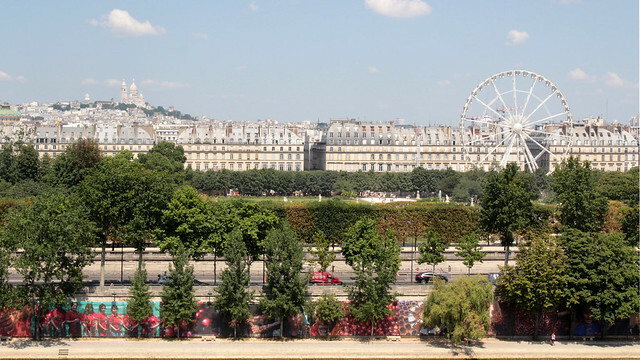 19 Jul: The summer terrace of Musée d’Orsay is now opened, and it has a beautiful view towards Montmartre and Tuileries Garden. In the mean time, bar the usual summer fixture of fête forraine des Tuileries (hence the Ferris wheel), something else caught my attention. Along the river front, a photo exhibition of Chants de café by Reza has been put up, exploring the lives of those involved in the production of coffee. 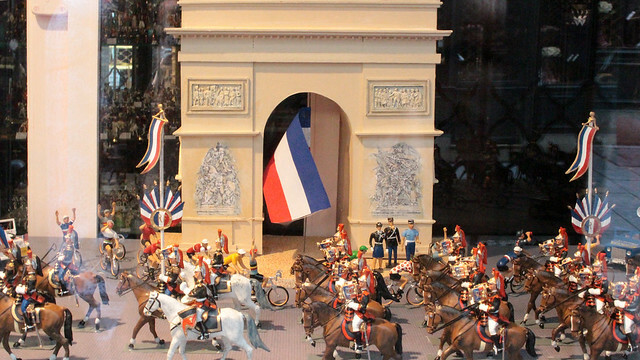 Well-worth checking out for those who live or are visiting Paris. 20 Jul: The heat got to us and a trip to the coast was called for. 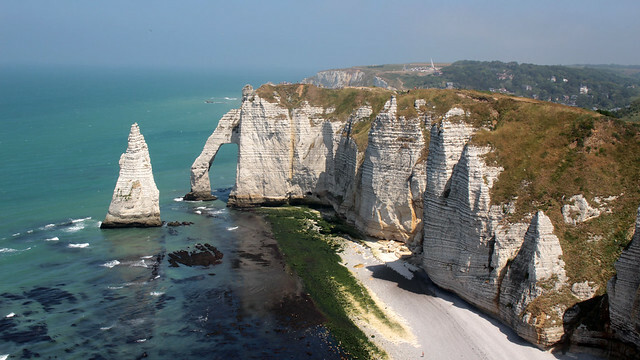 We headed north to Étretat for a long day-trip. I even broke my own rule of trying to get at least 1:1 ratio of travel time and visiting time (7 hours vs 6 hours) but for the sake of some coastal breeze and cooler temperature, plus sea swimming time for the boys, we did it. The walks (and the views) of the cliffs were spectacular, and we had a fantastic time picnicking right next to a squabble of seagulls too. More photos to come soon, I promise. 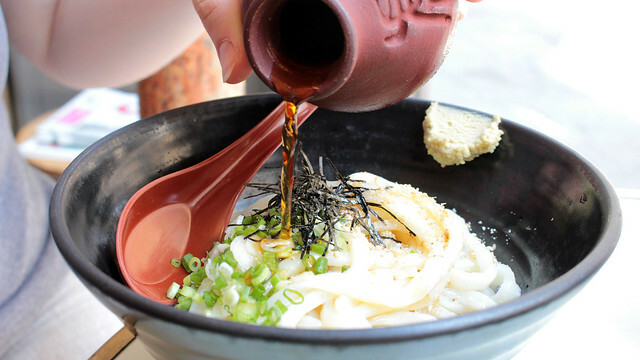 Hehehe, it’s udon indeed. Sorry the pics was a bit overexposed, thus difficult to see if it’s udon or soba. I’ve been craving cold noodles of all sorts since summer proper struck paris – unable to eat anything else in an environment that is deprived of ventilation. thanks for the recommendation !